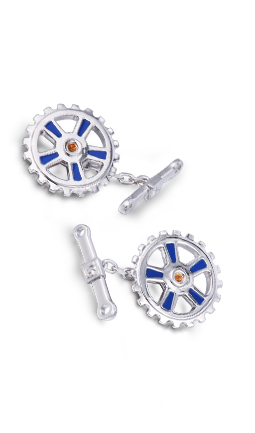 The dashing Sprocket Cufflinks feature a sprocket and crank arm. The Sprocket cufflinks are 925-silver. The sprockets are colored with blue enamel and set in the center is a small citrine stone.